Tourism plays a vital role in the economy of the hill state. After Hydro Power, tourism is one of the major sources of revenue and employment. Million of tourists, who visit Himachal Pradesh every year not only provide bread and butter to thousand of families but also to Govt. treasury in the form of taxes. People from every nook and corner of the world visit beautiful places of Himachal Pradesh to find peace of mind, to enjoy adventurous activities like hiking, rafting, skiing, Para gliding, to see rich cultural heritage and to visit famous pilgrimages. There are few health conscious travelers who visit Himachal for health reasons and undergo ayurvedic therapies like 'Panchkarma'. For honeymoon Himachal can be your first choice. The breathtaking natural scenery, romantic and tranquil ambiance makes it a perfect honeymoon destination. Himachal can make your honeymoon a life time experience. If you love adventure then Himachal is the place for you. Manali: Skiing & snow scooter ride, Hiking and mountaineering, Rafting and Para gliding. Palampur: Para Gliding, Polo(at Taragarh palace hotel), Tracking etc. A study conducted by the Delhi based National Council for Applied Economic Research (NCAER) shows that of the 230 million tourist trips undertaken in India, the largest proportion is made up of religious pilgrimages. 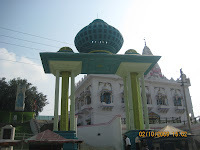 Devbhoomi Himachal has lot of religious places to visit. You can see Buddha monasteries, Gompa, Gurdwaras, Churches and Temples in Himachal Pradesh. See list of scared places of Hindu's, Buddhists, Sikhs and Christians here. If you want to brainstorm and have fun together, Himachal is the place you are looking for. You can conduct your business meets, conferences along with recreation at one of the following hill stations. All are well connected with road and air. Himachal Pradesh tourism already offers 'Panchkarma' at it's various hotels. There are some other places also where you can you can avail facilities like Yoga and 'Panchkarma'. Dharamshala, Chail(Solan). More places for 'Panchkarma'. IF you want to stay in Himachal for more than a week then Home stay scheme is best for you. You will get a chance to live a village life in a homely environment. Click here to see list of home stay locations and booking related details. You can book Himachal Pradesh tourism department hotels online using your credit or debit card at HPTDC website. You can search for web portals of private hotels for online booking if you want to stay in some private hotel. For any sort of tourism related information you can contact HPTDC through email or on toll free number. Tourism industry in Himachal Pradesh which was facing rough weather in past is now flourishing like anything. As per one estimate the number of total tourists who visited Himachal Pradesh in the year 2007 was 88,21,397(Indians: 8481988,Foreigners: 339409) which turned out to be 97,49,433(Indians:9372697,Foreigners:376736) for the year 2008. For the year 2009-10 Himachal Pradesh Government has set the target to attract more than ten million tourists. In the past few years there has been a tremendous increase in Tour and travel companies who offer attractive packages to tourists for honeymoon, tracking, mountaineering etc. Road and air connectivity has also gone better lately and now AC and Volvo buses ply on daily basis to Manali, Dharamshala and Shimla from Delhi and Chandigarh. Not only the private companies and hotels but Himachal tourism department(HPTDC) has also taken new initiatives to boost tourism in Himachal. HPTDC has conceptualized a new scheme known as Home Stay which will certainly promote village tourism. Himachal Govt. has also decided to start nature-cure centers and health resorts on Kerala pattern to promote health tourism. 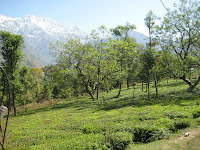 Though polythene has been banned and other majors has also been taken to protect environment and Himachal's rich cultural heritage, yet diversification of tourism destinations and ever growing number of tourists can account for deep impact on environment and lives of people of hill state if tourism industry is not streamlined and anti environment activities like felling of trees, hills and mountains for establishment of hotels and resorts are not curbed before it's too late. Drop in your comments on how you see future of tourism industry in Himachal. I have been to Himachal many a times. Fantastic place. Yes, now facilities are better than before.